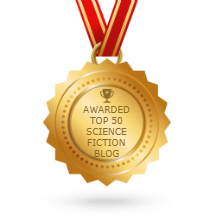 By JJ: We spent a lot of time over the last several months reading and discussing the 2014 Hugo Best Short Story finalists. This thread has been created to give us the opportunity to discuss the rest of the entries on the longlist. Since some of us intend to use the long weekend to catch up on reading but others have plans for time spent with family and friends, I thought we could post this now with links for those who wish to start reading, but hold discussion until next week. So… please GodStalk this thread, if you wish to participate, and I’ll post a reminder at the beginning of next week.